We use only the most up to date software and highly trained digitizers. Our designs go through several phases of quality checks to ensure that all on screen digitizing as well as the sew out is perfect. 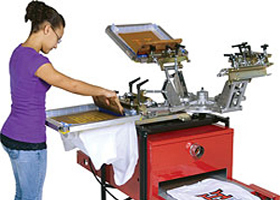 We will Vectoring and give color separations of your designs for your screen printing needs. In addition, we can clean up your existing art work, design logos, business cards, flyers, etc. 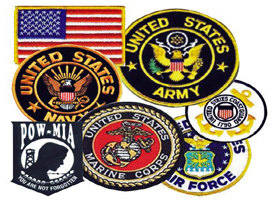 We offer highest quality custom embroidered patches for school monogramming, restaurant staff and other purpose along with physical shipping in all over the USA. an it looks very Good!!! 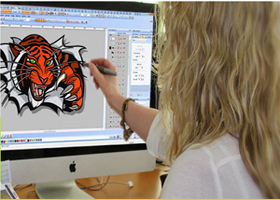 We always try to provide outstanding quality digitizing by our team of experienced digitizers. However if we are unable to meet your quality standards and demands, then we won’t ask you about payment even any single penny. Call us now: 740-334-4374 Copyright 2019 Express Punch. All Rights Reserved.